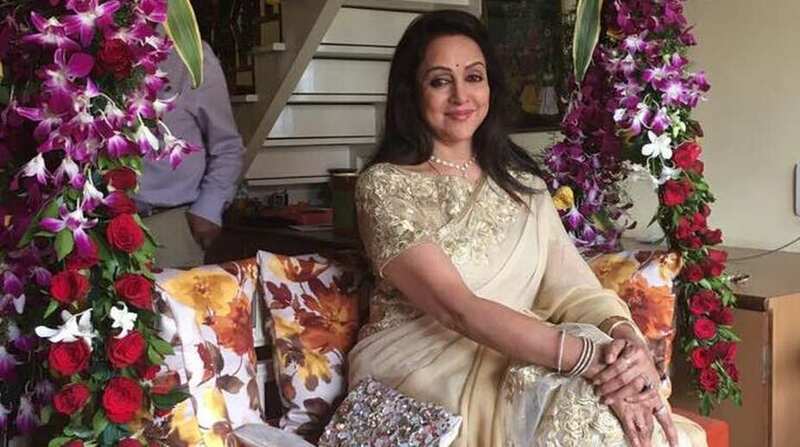 Veteran actor and politician Hema Malini, who was in Russia to receive an award for her contribution to cinema, is overwhelmed with the love she has received in Russia. She says people want to see her in part two of her memorable film Seeta Aur Geeta. Hema, 68, is in Russia to attend the 4th Indian Film Festival of Russia (IFFR), which is honouring her and film-maker Madhur Bhandarkar. Sharing glimpses from her trip and the event, Hema tweeted on Sunday, “In Moscow to receive an award for my contribution to Indian cinema and popularising it in Russia and the world. The way Russians are crazy about me is unbelievable. Looking radiant in a red traditional sari, Bollywood’s ‘dreamgirl’ also shared some images with the Indian Ambassador to Russia Pankaj Saran and his wife. She also posed with a fan, apart from doing some touristy things. “This morning walked around the famous Red Square,” she tweeted along with a photograph in which she is seen dressed in casuals. The event left her overwhelmed. “Such a proud moment! My popular songs from Hindi films were performed beautifully amidst loud applause from the huge audience gathered,” Hema wrote.